Its more of a "back to wilderness" kind of camping. Not a bunch of luxurious amenities, but, camping as it should be. Family friendly, great for tent camping and R.V.’s. The River is your backyard, great for hiking and lots of wildlife to see! No showers. Pro's- Close to the town of Medora with so much to do for families. Wildlife is abundant in the park. Nice clean campground. Large spaces for tents and RV's. Deer, prarie dogs, bison, turkeys…and wild horses! Con's- Road construction going into the park with around 10-20 minute wait. Best camping experience to date! We were one of a few campers in this campground. Amazingly vast and wild! Highly recommend!!! 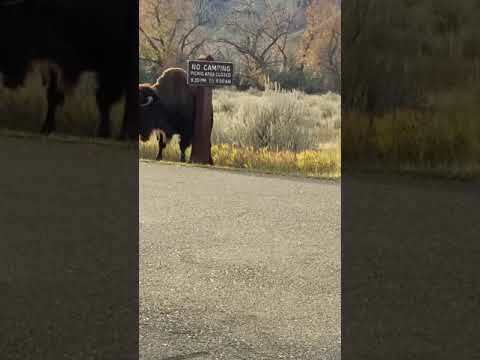 We woke up to find bison all around us. Truly a beautiful and unique experience I'll never forget. great place for going on rides and over night visits. see lots of people hiking the trails and bringing their dogs. 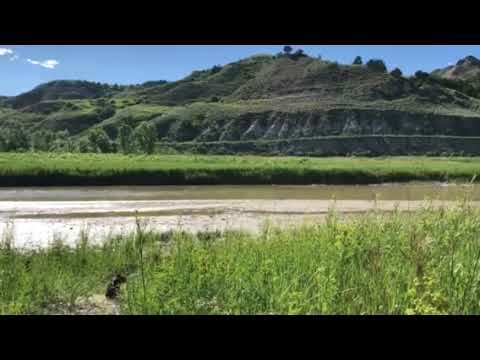 Along the Little Missouri River, this is a nice place to connect with nature. Set in the park, restroom is a bit of a walk, sites are tucked away from main park traffic-which was minimal when we visited in August. We saw: elk, deer in velvet, bison, prairie dogs,horses, spectacular stars. It’s very close to Medora and all the little wholesome town has to offer. Cottonwood Campground forms a loop near the Little Missouri River. It's a short convenient drive from the visitor's center, and near the beginning of the larger loops that bring you to all parts of the south unit of the park. Bison wander in and around the campground, which offers 76 shady sites . Wild horses can also be found within the park, along the circular drives that take you around the colorful buttes. Sunrises and sunsets are quite beautiful. The campground was arranged very nicely. Though there are many sites, most are tucked away for some amount of privacy and quiet time. The bison roam the campground often. Being on the river is fun for recreation and wildlife viewing. Next to the little Missouri River. Most campsites have shade and tucked in. Ours was a light exposed- but not bad. No campfire rings. They have raised grills that can be used as to have a small fire. The campsites are pretty spread out here with the exception of the tent area. There are beautiful sites right along the river. No dump station or showers.